Order by 1pm for delivery today between 9am – 4pm. Same day delivery available only for Mixed Box 6. Order DetailsPlease select pickup or delivery and enter your details. View cart “Mixed Box 6” has been added to your cart. Minimum order of 6 Doughnuts. Order by 3pm for next day pickup or delivery. 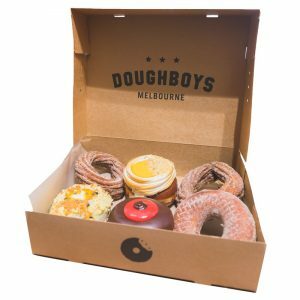 Delivery available for Melbourne metro suburbs. Same day order closed for today. Visit our store to place a pickup or delivery order.